No disaster is a single event. Complex systems rarely fail without warning. Instead, accidents are the product of decisions made over hours, days, and sometimes years. Those choices are shaped both by the culture of the organization—whether it’s NASA or the White Star Line, which owned Titanic—and by outside pressures. When you’re mapping out, building, and testing applications, remember the human failure element. Remember the peril of the badmins. And when you’re doing your risk analysis about whether critical-but-unlikely bugs need to be fixed or what extreme conditions you should test for, you and everyone else needs to remember that unlikely is not impossible, but catastrophic is always catastrophic. 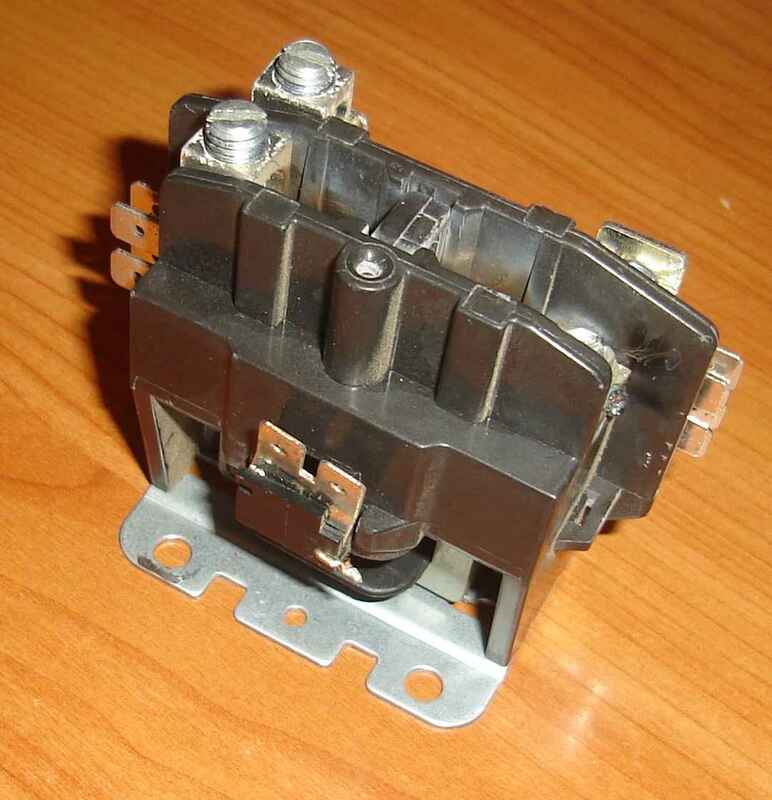 As I mentioned yesterday, this is a 24-volt double pole contactor for an air conditioning unit. But it’s also akin to a computer program. It’s a simple mechanical switch, but it functions like any method or function in an application. It takes input from the main circuit board, a 24 volt current that triggers the switch. When the switch is triggered, the condenser and compressor come on and make the magic happen. When the current stops, the switch opens and the external unit shuts down. So. What can happen to impede this process? How would you test it? Of course, one would send a 23 volt current along to see if it triggered. And then 25. And then, if one was really sadistic, one would pipe the electric version of Hamlet at it (which would explain why the lights in the building just dimmed). What happens if the switch sticks in the partially on position? What happens if current travels between the contacts incorrectly (a shower of sparks and a bad switch, which explains why this one is on my desk and not in my air conditioning unit). In many cases, the problems you would find would be the result of installation issues, that is, deployment of this object. That’s when the wires can get hooked to the wrong screws and whatnot. What happens then? Hopefully, just a failure of the device and not a cascading catastrophe. When you’re looking at an application, try visualizing it as a physical object with access points and egresses. What happens if you cross the streams? Is it only partial protonic reversal? If so, log a defect. 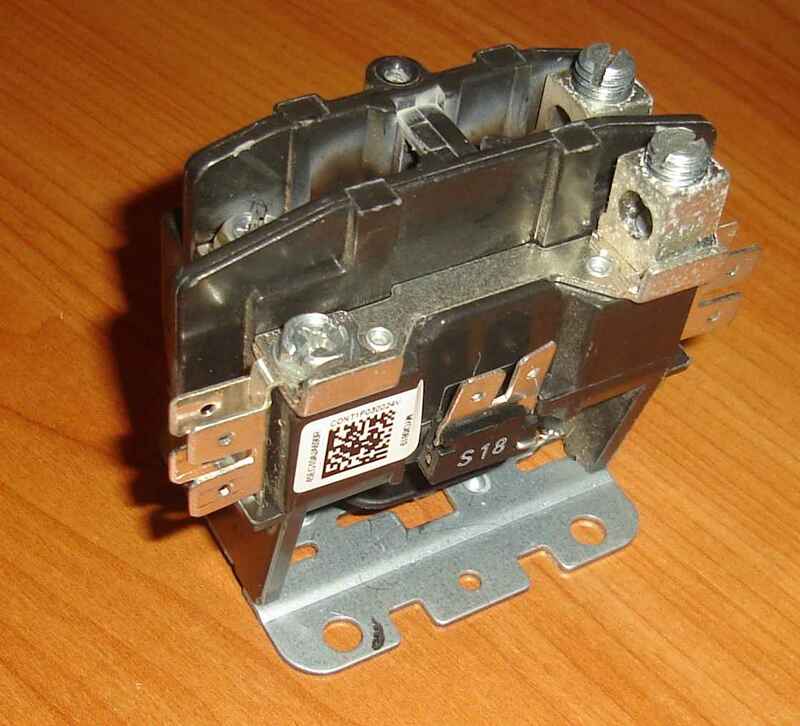 This is a 24 volt double-pole contactor for an air conditioning unit. Part number CONT1P030024V. A former client of a former client manufactured this sort of thing, so it wasn’t uncommon to see part numbers rolling up the screens during testing and documentation. Each of those lines of data referred to actual objects. Not programming language objects, but physical devices that the software’s users and customers depended on. Those customers probably bought them and installed them in residential and industrial settings to keep people cool during the summer months. When you’re stuck in a cubicle, office, or testing lab ten hours a day (or thirty-six if you’re g33klady), those little lines on the computer screen are just that. But out in the real world, they’re real things. Remember that. “When I am accessing a website that has Flash, I usually get a blank part of the screen, or a red box where the Flash element is,” Cunha says. “Or I may just get a static image.” If the organization behind that website hasn’t developed a scaled-down mobile-friendly alternative, Cunha says he usually avoids the site totally. Back when I was at the interactive agency, we always tested to see the site without Flash and provided a different static image if the browser didn’t have Flash installed. I’m sure that’s all done away with now, and most Web shops thought (if they thought at all) that Flash penetration was high enough to make that unnecessary. And then, a couple years later, popular tablets and smartphones did not support Flash, and the lamentations begin. Here’s a bit of advice, gratis: If you’re building or testing Web sites, always check to see what happens if dependent technologies aren’t there, and handle their absence gracefully. Sure, the technologies might have a lot of market penetration now, but what’s going to happen in a couple years? Unless you’re a fan of clients clamoring for free fixes to their suddenly broken sites, just do it. You’ll make me quieter about it, anyway. That’s a pretty strange business requirement. If you get something that looks arbitrary, you do know to challenge it, right? Make sure there’s some reason that your organization doesn’t want to collect information on someone using an iPad from his or her assisted living facility. What gamer hasn’t dreamed about playing games for a living? While this may seem like a great career, and a cool way to get a first job in the games business, the truth is less appealing. Although the testers cited in the article grouse a lot about the things that make any employer a bad employer from a testing employee’s (or contractor’s) perspective, one element is even worse: The pay is crap. Because, face it, it’s the kind of job that naive cannon fodder will throw itself at for the very reason listed in the lede: Testing games all day sounds like a lot of fun until you realize that it’s the same tedium as running the same test cases against a piece of database connector software except with better graphics. As long as that fantasy lives, kids will come along and accept that ten dollar an hour wage to do it. It’s kind of like writing Internet humor. You think it sounds like fun or it might be a springboard to something else, but mostly it’s what it is and leads to more of the same if you’re lucky. So although I’m not against working on games, it’s for my rate of pay, not a sweatshop’s. 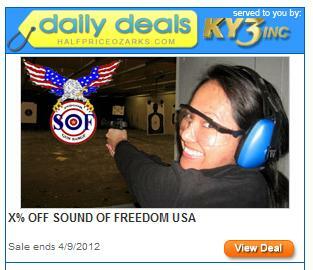 One of the local daily deals sites is offering a discount at the local gun range. How much? Bring your own algebra. Actually, it’s not a good algebra problem at all, since it gives no information as to how to solve for x. So it’s a lot like pretty much what QA does every day. Which of the following software products, services and/or technologies do you currently or plan to approve, specify, recommend, purchase, or influence the purchase of? By checking this, you do realize that logically you’re saying that your organization uses spyware or malware, right? 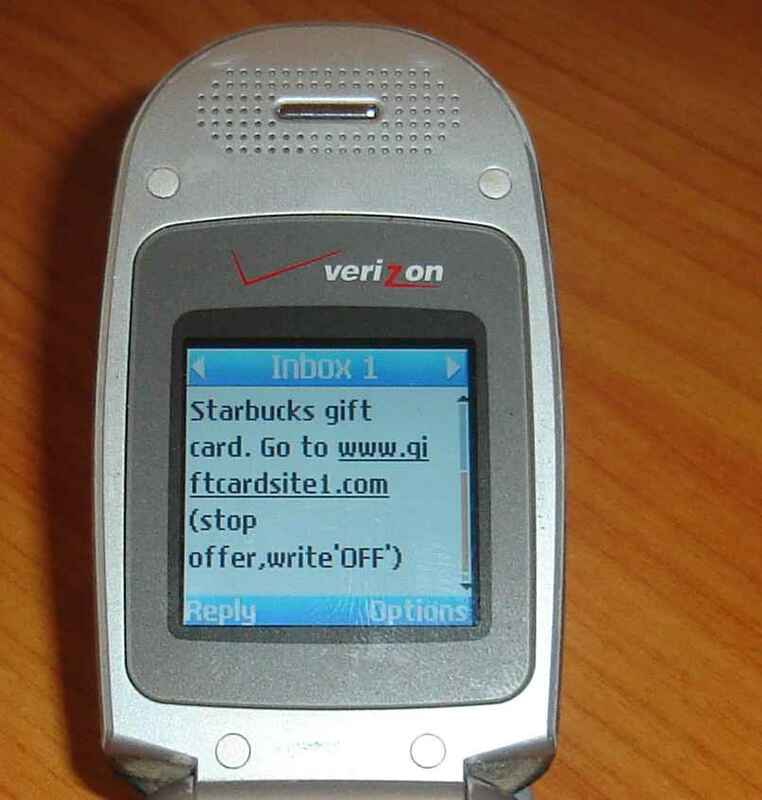 If you’ve got a program that spits out text messages, much like a program that spits out email communications, you do check that text message or email, don’t you? Or printed pages from your application? 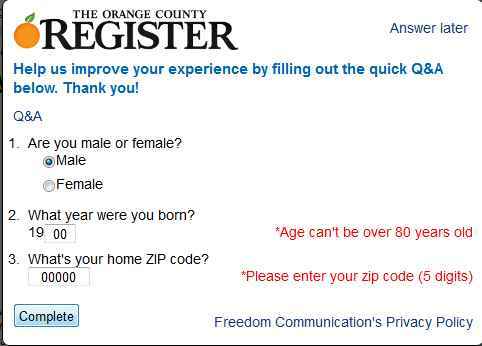 Because your user might see all forms of output, you need to make sure they’re not embarrassing. As some of you might know, I’ve been having a little trouble with my DSL connection starting sometime last winter. AT&T operators and technicians have been very polite, for the most part, but they didn’t fix the problem yet. Additionally, I needed a static IP address to make connections to client networks easier, and this did not go well, either, since most AT&T phone representatives only want to sell U-Verse and transfer you to tech support if you even mention static IPs. I finally got it, but at a bill rate three times what they sell it to business customers. You are currently browsing the QA Hates You weblog archives for April, 2012.